A full (or true, or complete) albino Northern Cardinal, recognizable by the lack of pigment in the eyes, making them appear pink. see below for discussion. Original gouache painting copyright David Sibley. The presence of white feathers on a normally dark bird is the most frequently seen color abnormality. 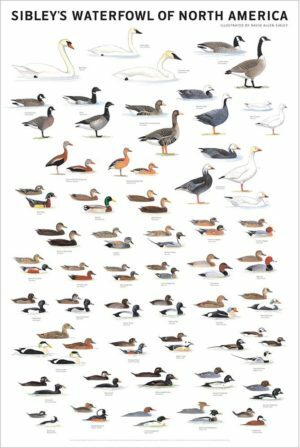 Every birder can expect to encounter white or partly-white birds with some regularity, and the more striking examples will stand out even to novices. 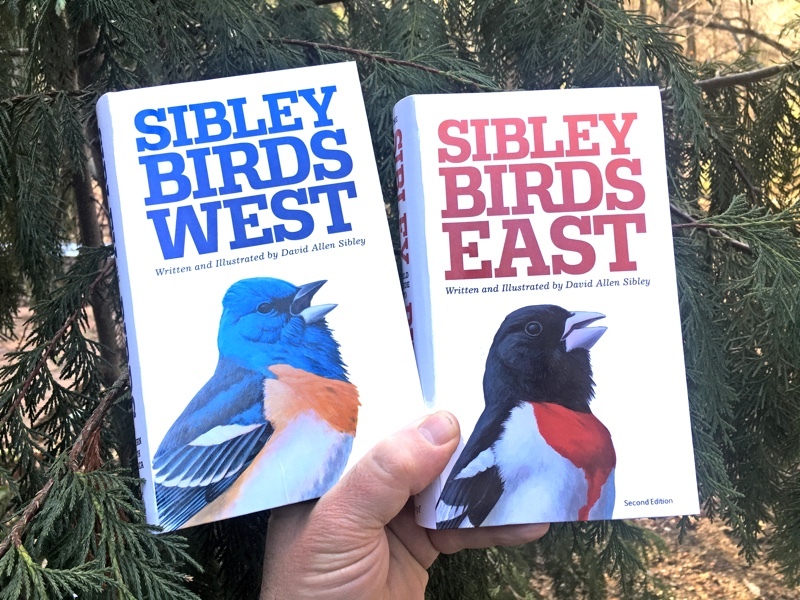 Through careful study birders can sometimes deduce the cause of the abnormality, but different conditions can produce nearly identical results. Conversely, the same condition in different species of birds can produce very different results. A true albino is a very specific genetic mutation, rarely seen in the wild, and can easily be referred to by calling it a “full”, “true” or “complete” albino. The other terms mentioned below (leucistic, dilute, etc. ), and others, can be used for specific cases, but consider all of the possibilities and be wary of false precision. The term leucistic has a confused history. 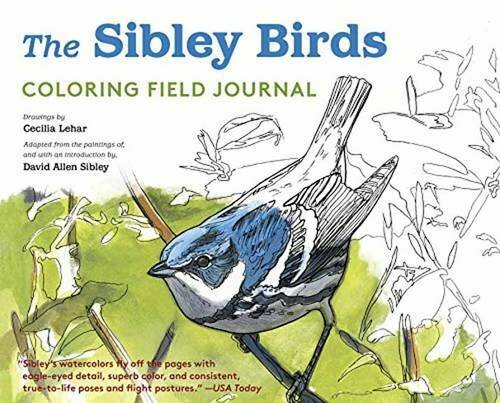 In the introductions of the Sibley Guides I said the term leucistic is synonymous with dilute plumage. That usage was fairly common among birders at the time, and I was unaware that it contradicted several scholarly publications (e.g. Buckley 1982, van Grouw 2006) which define leucistic as the total lack of melanin from some or all feathers (what I called partial albino in the guides). It does make sense to distinguish birds that are unable to deposit melanin (my partial albino, their leucistic) from birds that are able to deposit melanin but only in low concentrations (my leucistic, their dilute). Below I’ve used the term leucistic (not partial albino) for birds which cannot deposit melanin, which helps to distinguish these birds from the narrowly-defined true albino, and allows use of the term “partial albino” as a general category for any bird showing any form of reduced melanin. These terms should be corrected in the introduction of the Sibley Guides. A full or true albino (see illustration at the top of this page) is a very specific mutation with a well known genetic cause similar across all vertebrates. These birds are unable to produce melanin at all because of the absence of the required enzyme tyrosinase. All of the plumage is white and the skin is unpigmented. Even the eye is unpigmented, and appears pink or red as we see the blood vessels in the retina. Melanin serves some critical functions in vision and in protecting the eye from UV radiation, so full albino birds can’t see well and for that and other reasons don’t survive long in the wild. Adult full albino birds are essentially never seen in the wild. Note that the inability to produce melanin does not affect the red carotenoid pigments, so the red color appears more or less as usual on this bird’s feathers and bill. An albino bird is not necessarily all white! 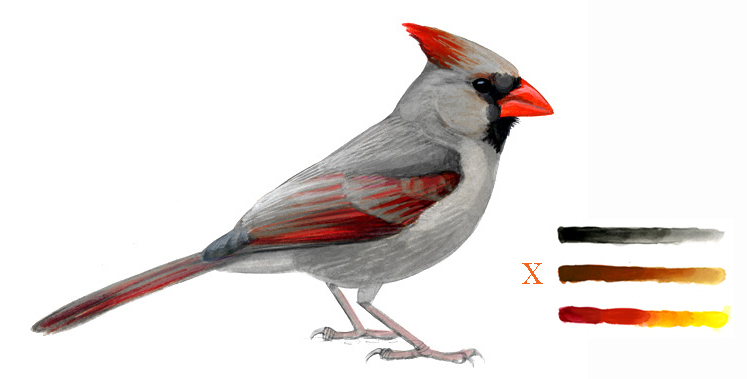 A female Northern Cardinal with entirely normal colors. The plumage color is a combination of black/gray eumelanin, chestnut/buff phaeomelanin, and red carotenoid pigments. Original gouache painting copyright David Sibley. A fully leucistic Cardinal lacking all melanin in all feathers. Original gouache painting copyright David Sibley. These birds can produce melanin, so the eye appears black, but something prevents them from depositing melanin in the growing feathers. 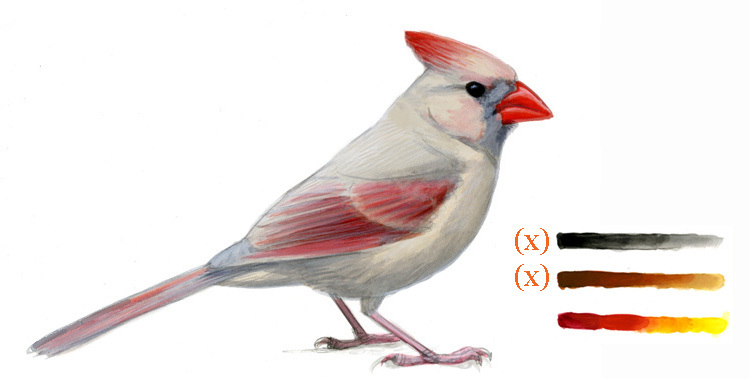 The red carotenoid pigment is unaffected so the feathers are red in all the normal places for a female cardinal. Note that in any of the numerous species that lack carotenoid pigments (e.g. Song Sparrow, Herring Gull, Blue Jay, American Robin, etc) exactly the same underlying condition – a total lack of melanin in the feathers – would result in completely white plumage. A partially leucistic Cardinal lacking melanin completely in some feathers, while other feathers are normal. Original gouache painting copyright David Sibley. This is probably the most commonly seen plumage abnormality in wild birds. This mutation is extremely variable in appearance, as birds can have just a few white feathers scattered on any part of the body, or whole sections of the body white, or the entire body white (fully leucistic, above). The white feathers are often grouped in feather tracts, so that most of the head is white (as shown here), or some of the wing coverts are white, or most of the tail, etc. A female Cardinal completely lacking the black/gray pigment eumelanin, this leaves only the rufous to buff phaeomelanin pigment (and red carotenoids). Original gouache painting copyright David Sibley. The most obvious differences from the normal bird include the lack of the blackish face and the greatly reduced pigment in wings and tail leading to very pale wingtips and tail tip. This condition is rare, and can be very similar to some dilute plumage conditions. Note that in a species that lacks the chestnut/buff phaeomelanin pigment (crows, many gulls, etc) this same condition – a lack of eumelanin – will result in completely white plumage. A female Northern Cardinal completely lacking the chestnut/buff-colored pigment phaeomelanin. Original gouache painting copyright David Sibley. It retains the normal dark gray eumelanin in the wing and tail color, and the dark face, but the body feathers appear quite abnormal. They lack all of the warm buff tones of phaeomelanin, leaving only pale and plain neutral gray. This condition is rare. There is no bird known that has only phaeomelanin pigment, it is always found with eumelanin, so this condition will never result in an all white bird. 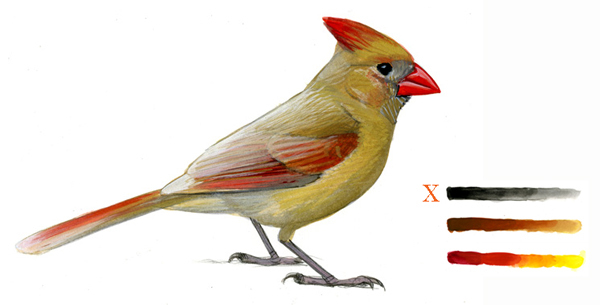 A female Cardinal showing dilution. Original gouache painting copyright David Sibley. Melanin of one or both types is produced and deposited in the feathers, but at low concentrations. The resulting pale gray-brown pigment is very susceptible to fading, and these individuals quickly become bleached by the sun. In dilute birds the relative concentrations of melanin on different feathers often remain the same as on normal birds, but all are much paler so the bird shows a faint “ghost” of the normal pattern. This is particularly striking on strongly-patterned species such as raptors or immature gulls, where the dilute bird will show the typical pattern (e.g. tail bands, etc.) but all in a faint pale brown. Many dilute birds have about 50% of the normal concentration of melanin. The palest dilute individuals can be nearly indistinguishable from fully leucistic birds, especially when bleached and worn. a mutation that leads to incomplete oxidation of the blackish eumelanin, so it is deposited in the feathers as a slightly paler brown color and is very quick to fade. This is obvious when it occurs in species like crows, but far less obvious on a Cardinal. an inherited condition known as acromelanism, in which feathers grown on warmer parts of the body (e.g. the chest and belly) are less pigmented than feathers grown on colder parts (e.g the top of the head). And there are other variations, with other causes, too numerous to be mentioned in a brief overview such as this. 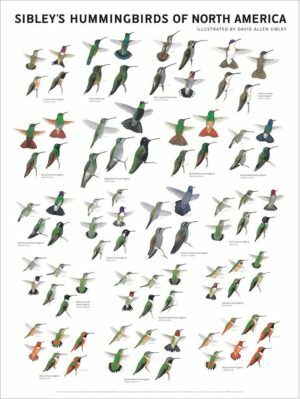 The coloration of birds is simple in some ways, and marvelously complex in other ways. Birds with abnormal plumage can be strikingly beautiful or just unusual-looking, and they can provide a fascinating deductive challenge as we try to figure out just what is going on. van Grouw, H. 2006. Not every white bird is an albino: sense and nonsense about colour aberrations in birds. 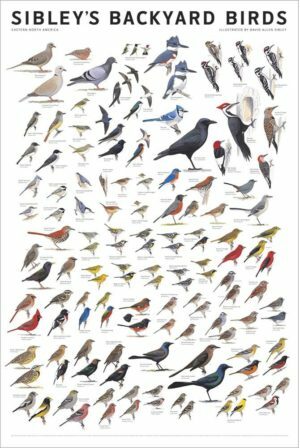 Dutch Birding 28: 79-89. Thank you for using a common sense approach and bringing clarity to the increasingly contentious subject of abnormal plumage terminology. I agree that “albino” and “partial albino” are easily understood, while other terms such as “leucistic” are not. When it comes to the sometimes inherent conflict between being arguably correct and being understood, I come down on the side of being understood. But what terminology do you propose for birds which have extra melanin? These are often called “melanistic,” but I have seen this term used for dark morph birds in which the extra pigment is part of normal variation. I don’t think this is correct or likely to be understood. 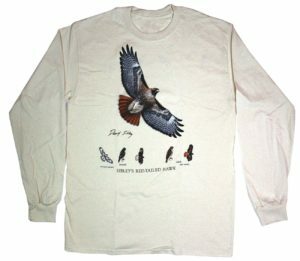 A dark morph Red-tailed Hawk is not really melanistic because its plumage is part of normal variation. I prefer to use terms like albino or melanistic only for birds which have some disorder which is outside normal or expected variation. Would you agree with that? And what does it mean to be be partially melanistic? I’ve seen this term used occasionally and never understood it at all. Hi Joe, Good question. I’ve wondered the same thing. Is the underlying mechanism of white morph birds like Reddish Egret similar to any of the causes of “abnormal” plumage, such as leucism? We consider a white Cardinal “abnormal” because it is rare, and white Reddish Egrets “normal” because they are common, but they may have similar origins. I don’t know, maybe someone reading this can help. I’m working on some other posts on plumage abnormalities, including melanism. That’s much less common, except in species with a dark morph, and I’ll be looking into the question of whether we can make a distinction between abnormal and normal. I have a partial albino robin in my yard this year. Very difficult to photograph as it is very skittish and shy. I live in northwest Wisconsin. I live in No. Illinois. We just had, what appeared to be a bird the size of a blackbird, with a brown head and the back of the bird was a faded mustard yellow color going all the way to the tip of his tail. He had a beak like a blackbird. I have checked bird books and online, but I can’t find out what it was. I’m going to try to get a pic of it. It was at my feeder along with sparrows, cardinals, bluejay, and blackbirds.We just experienced a windstorm yesterday with 60 mph wind gusts. I thought maybe he blew in with the storm 🙂 Help! Hi Balisha, This doesn’t sound like any normal North American bird, so I think you are on the right track that it is probably an abnormally-colored bird lacking some melanin. If you see it again do get some photos, and try to pay attentionto its size and shape and how it acts. If it’s a blackbird with abnormal color it will still be the same size and shape as the other blackbirds, it will travel with them, and it will act the same way. Let me know how it turns out. Possibly an immature Orchard Oriole? Just a guess. 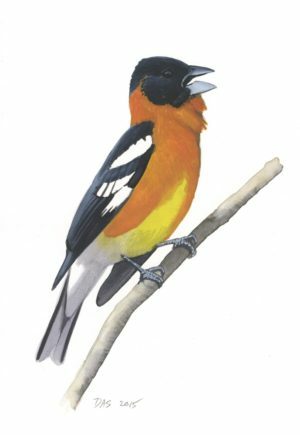 I have seen solitary orioles follow birds to feeders before. I had an immature male Prothonotary Warbler eating seeds one August. I would love to see a pic of your bird, too. 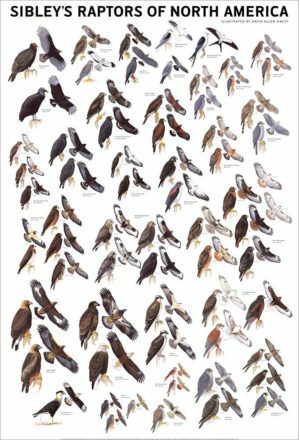 I am always amazed that whenever I have a question about a color abnormality of any species of bird, I discover that you have already written about it. I very much appreciate the work that you do. I caught what I think is a fully leucistic Curve-billed Thrasher. It was taken in central Arizona. I check my oddities against Google images and unlike the very numerous Northern Cardinal, I only found a few examples of the CBTH with leucism. I was very very excited to experience this bird. I put three sample pictures on the website. Hi Matt, Nice photos! and an interesting bird. It looks like it has a fairly uniform reduction in melanin all over, being almost white. I’m guessing by the eye color and the obvious yellow flanges on the gape that it’s a recently fledged bird, and therefore in juvenal plumage. The lack of color could have many different causes, and this bird might molt into a more normal adult plumage soon, or not, either way would be interesting to document if you have a chance for more photos. It does seem like some common species – like Robins and Grackles – are more often albinistic. 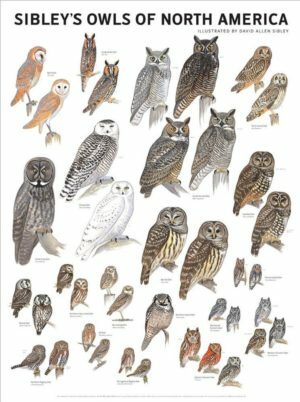 I’ve always wondered if that’s just because we see a lot more of them, but there do seem to be real differences in frequency between families of birds. Thank you very much for your comments David. I will attempt to capture the bird again. Hope mom and dad don’t chase it off. i enjoyed reading about the mutations very much! i do have a question though that i’m hoping you can answer~ is there a way that someone can intentionally produce an albino or leucistic bird from normal parents.. Thanks for this information. Recently (3/31) a friend and I were observing a female northern cardinal at my feeder. However, she had a LOT of red on her breast mixed with brown farther down. There was more red on the wings than the normal female would have. The mask around the eyes was black but the area beside the bill and under it was a grayish color like the black hadn’t come in. It’s not an immature male according to several birders. It looked like a female except for this excess red. Up until recently, I never even considered that the birds would have color aberrations aside from albinos. Of course I know better from this article. We have also had the appearance of a slate-gray junco with a white bar across its shoulder and a white spot on its head (also near our feeders). Hi Lorie, Interesting! The amount of red that females produce can vary a lot, depending on the hormones at the time the feathers grow. Females with more testosterone produce more male-like feathers with more red, and disease can cause a female to produce less red. It sounds like the bird you saw also had some albinism, with less black than usual, although the dark mask on normal females can be grayish in parts. For the last month, we’ve watched a pair of “normal” northern cardinals feeding/tending a pair of fully leuclistic offspring. Both white birds have the charateristic black eyes, pinkish streaks on wingtips, crest and tail but are strikingly white otherise. They are also far more “skitish” than ordinary cardinals at the feeder. I wonder how often this anomaly affects more than one nestling? they are males with one defective teste and not true gynandromorphs or hermaphrodites. More likely just signs of leucism. I do find it interesting that the male pattern is always on the left side. For the past 2 years I’ve been photographing an incredibly beautiful bird at my feeder. This morning I emailed photos to a friend, who passed them on to a couple of experts that immediately identified her as a partially leucistic cardinal. She then sent me a link to this article and I was overjoyed to read about my mystery bird. She continues to be a source of pleasure and amusement and now she has a name! Thank you. I have a question relating to my previously posted comment. I photographed this cardinal in August feeding another bird that I assumed to be her baby. 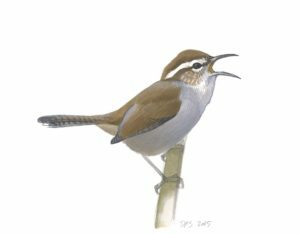 The young bird was gray-brown and white at the time. What are the chances of a baby having the same mutation as the mother? A few years ago I read someone’s analogy that trying to figure out a bird with white feathers is like diagnosing a car that won’t start – something is going wrong but there are many possible causes among several unrelated systems, and you can’t tell from the outside. In this case it seems like the color abnormality must be genetic and passed from parent to offspring. Usually that is not the case, but it does happen. I have a slim, slightly smaller than usual crow coming by for dog kibbles. He is bolder than most and has white feathers on his breast and down his breast bone and a white patch on both of his greater secondary coverts. I thought he was simply leucistic until I saw the wind blow his chest feathers and the there is a large patch of bright red skin exposed. Scare tissue? Wound? What do you think? It will be awhile before I can point a camera at him I should think. For the past two years I have had a female fully leucistic cardinal feeding at my feeders. I am so glad I found this website. Now I know what she is. I’ve had a female at my feeder this year and it’s white all around the eyes. It looks like she has a white mask. I’ve noticed numerous cardinals that are discolored in different areas. 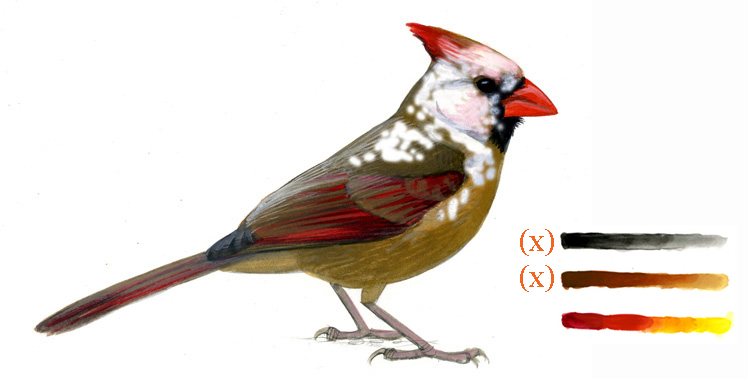 Is leucism found more in cardinals than other birds? On Sunday afternoon November 2, 2014 (light rain) there was what I assume was an inca dove feeding on the ground and the coloration was not as shown in book, but was a beautiful all over light warm (reddish-tan) white. The only variation was on the primaries, which were very slightly darker, and secondaries were a little lighter than the primaries. There was no marking on the remainder of the bird–just the very light warn white — not albino which I would describe as an absence of any color whatever. The bird was around for about 15 minutes, but when I went to get the camera, of course it vanished. You might find interesting, in regards to bird coloration/pigmentation, the literature by Dr. Alexandre Roulin, Professor in the Department of Ecology and Evolution at University of Lausanne, Switzerland. I came across his published papers and work while researching the lit on associations of aberrant coloration in birds with physiology. Sure enough, there is a link between the two! Roulin and his lab have researched bird coloration genetics for several years with some interesting findings, especially in owls. 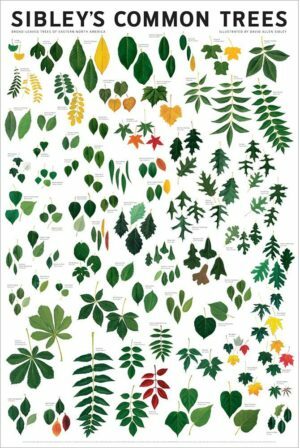 I love the graphic images you have included here. Very helpful in assisting explanations. My husband and I live in a very wooded area. 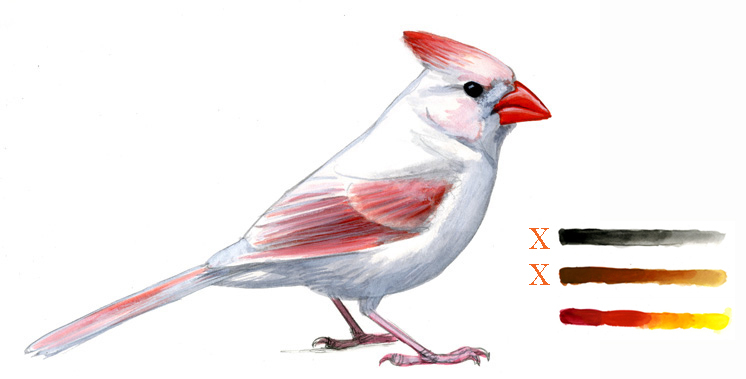 Today we were looking out the windows and saw a strangely colored Cardinal. It had a yellow beak, very pink crest, pink and gray feathers on tail and wings. It wasn’t very pretty, but very interesting to watch. It was hanging around a normal Cardinal. So great to see a bird that unusual. We live in Southeast Kansas. Thanks for helping us to figure out what this bird was by reading the above information. I recently had a Cardinal(?) come to my feeder. I live in Eastern Iowa. It looked like a cardinal but had very very dark gray or black uniform plumage. There was little or no lightened coloring on breast. Just a solid, dusky(not shiny) gray black. It had a very bright orange bill shaped exactly like a Cardinals. I looked like a Cardinal in every way except for coloring. I found a phainopepla in a bird book but this bird was not shiny & this one has a bright orange beak. It was beautiful & if I see it again will try & get photo. Thanks for the explanation. I have a couple non-eumelanic cardinals coming to my feeder. 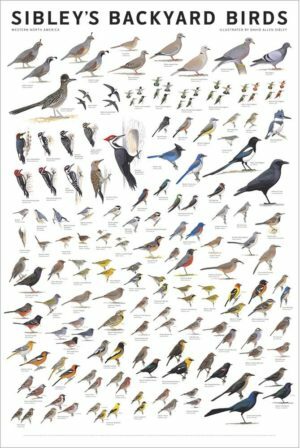 Love your book–very good for helping identify birds. My family and I live near Salmon Arm, BC. For the past 3 years we have had a partial albino Robin come back every year! It is beautiful to see as he/she is the only one I have ever seen. I have a couple of questions though: 1. Is it genetic? 2. Do others who are normally colored, pick on the one that has some color mutation? I haven’t seen other Robins pick on him at all which is good! In May of 2006 as I walked to my early morning retirement job (about 6:00 am) an almost all white robin lit on the sidewalk ahead about 30 ft, I got closer several times and it would move ahead etc., so I got a pretty good look. All white with a very pale red chest. I was reminded of it this morning (and so sent to this site) when I saw an otherwise normal robin, but with a wide white ring around his neck. It was raining and I wasn’t sure of what I saw so put on my slicker and went out. He had a partner with him an they didn’t let me look for long but very distinguishable. I live in the Chicago suburbs, but was visiting my parents in Texas and took a photo of a bird at the San Antonio Botanical Gardens. It looked very much like a female cardinal, but on closer look, it had a grey body. I was stumped between trying to determine if it was a Northern Cardinal or a Pyrrhuloxia. Now I see it looks mostly like a cardinal with dilute plumage. Are these types of birds unique? Can they mate successfully? 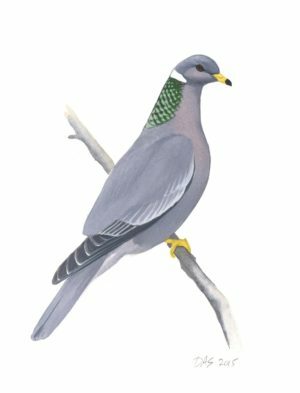 Is there anyone who records these abnormally colored birds for research? I did take a good photo of the bird. 4/26/2015 Brookfield VT: today my wife Jane noticed a small white headed bird outside our kitchen window. It appeared to be a sparrow. All feathers were normally colored, similar to a white-throated or white-crowned, from just below the nape/throat down. 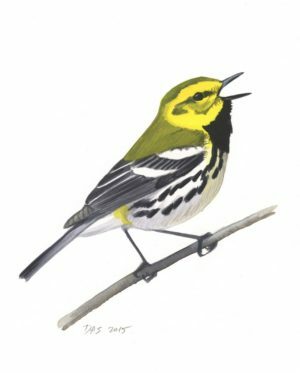 Above was pure white, and the orbital feathers and bill were bright yellow. What was most striking was how drastically the two areas were distinct fom each other. There was no partial coloration variation in either area. We took a picture of it with it with an iPhone, but had to zoom in, so the quality isn’t good but is viewable. If there’s any way to upload this I would be happy to share. Please advise. That sounds like a really striking bird. White-throated Sparrow makes sense and would explain the bright yellow orbital feathers – the yellow color we usually see on the lores would be unaffected, and would appear even more extensive and more obvious on white feathers with no black or brown melanin. The yellow bill that you saw is probably also normal yellow pigment exposed by the absence of melanin on the bill. I would like to see the photo, and you should be able to attach it to a message sent to me through the “contact” tab above. We live in Front Range Rockies, 8100′. In fall 2013, a leucistic mt chickadee showed up, pink legs and bill, whitish eye ring; otherwise normal. Left in spring 2014. Last year, on Halloween, an even more leucistic chickadee arrived and spent the winter, left in spring. Not only was his coloration weird, he also had severely deformed feet and oddly long body feathers—a condition I’ve been unable to find any info about, other than in cage birds. Couldn’t be ID’ed with certainty as to mt or black-capped (never heard it vocalize); both resident here. Yesterday, a third leucistic chickadee arrived, whiter yet, but definitely IDable as a mt chickadee; “shadow” of head stripes still visible; no apparent deformities and normal length body feathers. Believe we are seeing the third generation with the gene mutation. Still wondering about last yr’s bird with the unusually long body feathers. Have been googling (which is how I found this page) but can’t find anything so far, other than cage birds and domestic fowl. Pics on FB (www.facebook.com/sally.roth.12 post of Oct 23 2015) Thanks in advance for any suggestions/info. I was unable to capture it on camera. Can anyone help? Thanks! It could be an American Goldfinch. The yellow, orange, and red colors in birds all come from carotenoid pigments in their diet. 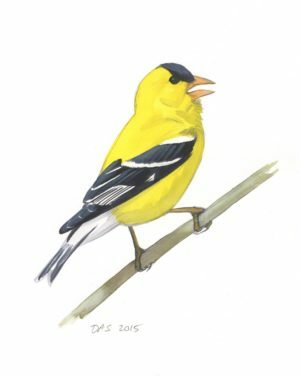 I’ve seen a few American Goldfinches that were unusually rich yellow-orange on the breast, presumably because they were eating something with that pigment while their feathers were growing. There is a well-documented new phenomenon of Cedar Waxwings with orange tail tips instead of yellow, and that has been traced to the berries of an exotic honeysuckle. I suspect something similar is involved with orange goldfinches. I have had a leucistic cardinal at my feeder now for about 3 years. I love watching it but have always wondered if it was male or female. After reading this article, I am guessing it is female since it doesn’t effect the red feathers. Is this correct? If it is showing red on some parts but not all over, then it is likely to be a female. The only red on it is on the crown, the wings and the tail feathers. Looks exactly like the one in the picture in your article. Yesterday, I saw another leucistic cardinal at my feeder. It has a tan colored head but a white body and the reddish grey wings and tail feathers. It was feeding with the fully leucistic cardinal so I’m guessing it may be an offspring? I am just so thrilled to have these birds in my yard! I live in Columbia MS and I observed a almost all white Red Bird ( Cardinal ) this morning around 8:40 am as I sat in my car watching the birds feed. I’ve live in the country,wooded area of Columbia for fifty years and have been an outdoors person every sense and this is my first time ever seeing and Albano cardinal. What a thing of beauty! Thanks so much for this site. We are in Granville, Ohio and have fed “Mrs. 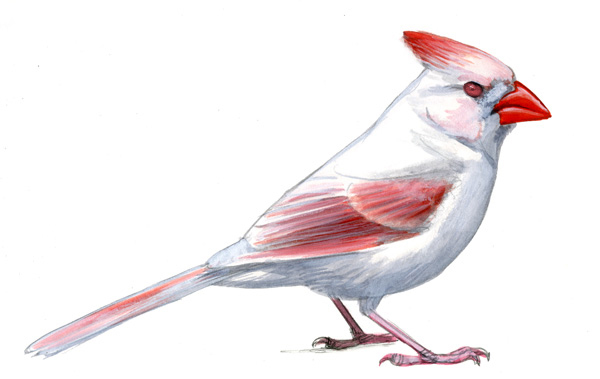 Magoo,” a female cardinal with stark white rings around her eyes, for at least two winters. She is thriving. Thank you for your valuable article and illustration that helped identify the beautiful mystery Cardinal in my backyard in Bastrop, TX. The black markings on her face confused me and others who saw her photo. Do you know why the black marks are so prominent on a non-phaeomelanic female?